This list of Pilgrimage Site are the Verso Ministries Top Pilgrimage Sites in Region 14. The Regions that will be used for all of our lists are based off of the Regions used by the National Federation for Catholic Youth Ministry (NFCYM) and used for the Bishop Conferences. These resources are here for Youth Groups, Young Adults, and Individuals to be able to find local sites to go on Pilgrimage to. The Shrine of Our Lady of La Leche sits at the heart of the old Spanish Mission Nombre de Dios. The Mission itself dates back to the founding of St Augustine in 1565 and hosted the first Mass said in the United States that very same year. The Mission grounds host many little Shrines and historic spots that date back to its founding, but the Shrine of Our Lady of La Leche is the true center of the Mission today. Our Lady of La Leche is a special devotion to all who desire motherhood as the statue depicts Mary nursing the Baby Jesus. However, this is a Shrine for all people as it opens the mystery of Mary as mother to something more tangible, creating a beautiful immanence of Mary and Jesus’ relationship. I strongly encourage all people to make a visit to this Shrine as the prayerful nature of the Mission grounds are great for any group and the Shrine of Our Lady of La Leche is a beautiful image for Marian devotion amongst all people! The Shrine of Our Lady of South Carolina was an idea conceived in 2003 with the goal of providing a Marian Shrine that was easy to visit without having to travel to Europe. For the Diocese of Charleston, this idea was brought forth during their diocesan Year of the Rosary as an idea for how they could carry on Marian devotion within the diocese even after the jubilee year was completed. Because of this, and the state motto of “While I breathe, I hope”, the image of Our Lady of Joyful Hope was made specifically for the Diocese and work upon a Shrine for her began. Today the Shrine is comprised of a small, but beautiful, chapel which holds the image. For all pilgrims who visit the Shrine, the image takes center place as it hangs above the altar. It will be a beautifully spiritual experience, and one so close to home for all from South Carolina. So I suggest that anybody with a devotion to the Blessed Mother should visit this special little Shrine and choose it as the end-site for your next spiritual journey! Address: 330 E. Main St., Kingstree, S.C.
Belmont Abbey is a Benedictine monastery in North Carolina with an Abbey Church that holds the title of Basilica. The Abbey was founded in 1876 by a few Benedictines who had traveled down from an Abbey in Pennsylvania. Soon after the founding of the Abbey, the Benedictines began their ministry of higher education, founding what would be eventually renamed Belmont Abbey College. Visitors are always welcome at the Abbey, especially for prayer with the community. The grounds are open to be roamed and there is no excuse not to wander around them to see the building itself as well as the cemetery in order to honor the deceased monks. The outdoor Adoration chapel and the Lourdes Grotto are also wonderful sites and important places of prayer that you have to visit on your pilgrimage. But of course the Basilica Abbey Church is the crowning jewel of the grounds and as the house of prayer, it is the perfect spot to stop and spend a lot of time in contemplative reflection while there. If you want to walk around more, the College grounds span all around the Abbey and are open to the public as well. So go and make a pilgrimage to this special monastery and enter into the Benedictine spirituality as you make your visit. St Teresa of Avila is a very unassuming parish Church just outside of Augusta, Georgia. Sure it is a beautiful church building with a wonderfully diverse community, but that first glance does not seem to show any signs of anything unique about it all. But then you approach the image of Divine Mercy in the Day Chapel and realize that open for veneration is a relic of Saint Faustina. During her life, Saint Faustina received numerous visions of Christ who would come and speak to her, imparting His message of Divine Mercy. 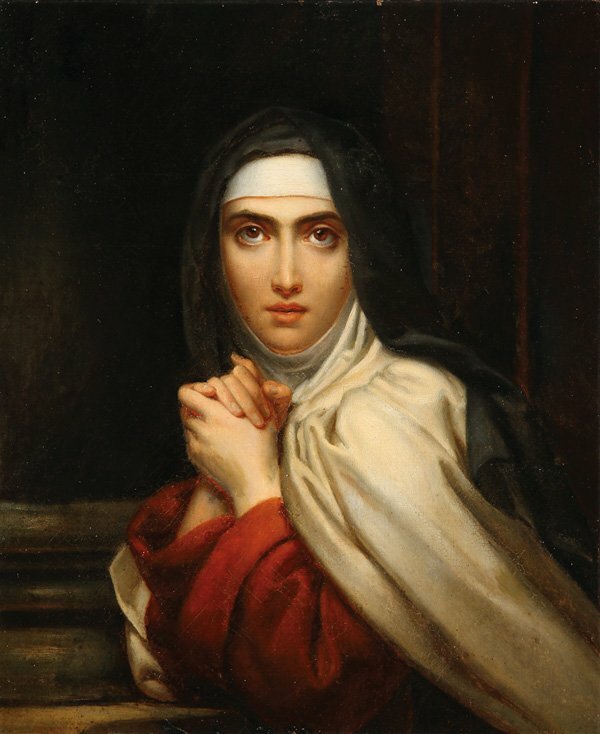 Her journal in which she wrote down every word that he spoke to her is available around the world and the image that Jesus asked her to make of Himself is a common piece in Catholic churches and homes. This wonderful opportunity to venerate the Saint that introduced us to the Chaplet of Divine Mercy and the totality of Christ’s merciful love for us, especially in the presence of such a beautiful image of the Divine Mercy is a special chance for all pilgrims. Perhaps, you should plan your pilgrimage around Divine Mercy Sunday (The Sunday after Easter Sunday) so that you can venerate the relics and participate within the promises Christ gave to all who prayed the Chaplet. With the location being so easy to reach for all people in Georgia, what excuse do you have to not visit this wonderful Saint? The Shrine of Our Lady of Charity sits in the heart of Miami, Florida and is one of the spiritual center points for all Catholics that live there. It was created after a rally in September of 1961 that involved the Archbishop of Miami and over 30,000 Cuban exiles prayed for peace in the world, especially in Cuba. Ever since then, the Shrine that was built up in honor of that event has hosted that same rally annually for the people of Miami in hopes that Our Lady of Charity will intervene on behalf of those gathered together in prayer. The Shrine is a testament to the faith of the Cuban people who populate Miami as they funded the building of the Shrine as they began to create their new homes in Florida due to their exile. In the Church of the Shrine is a mural with Our Lady of Charity at the center, flanked by a multitude of people who were important in their own ways to the Cuban Catholic community. This is very much a cultural and spiritual Shrine and therefore I believe that anybody near to Miami should make a visit to the Shrine to gain a deeper appreciation for the growth of Catholicism within the state. This is a beautiful Shrine in which one will learn a lot and also have the opportunity to enter into deep prayer for peace and the good of all peoples. So make sure to add the Shrine of Our Lady of Charity to your list of future pilgrimage sites and go and honor the Blessed Mother who protects us all in her prayers for us to her Son, Jesus Christ!